It’s still warm here and the children love to swim! What is the best way to prevent swimmer’s ear? 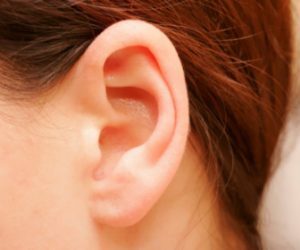 The ear canal is the passageway leading from the outside world into the ear, and it is usually protected from infection by ear wax and by the skin lining the canal itself. Factors that can disrupt this protective barrier include trauma, excessive cleaning or wetting, high ambient temperature and high humidity. Swimmer’s ear (otitis externa) is an infection of the skin in the ear canal. Preschoolers and school-age children most often develop swimmer’s ear, usually in the summertime. The child with otitis externa complains of pain, itching or fullness. The pain is worsened by moving the ear or even by chewing. The pediatrician may see pus or a cheese-like discharge in the ear canal. Antibiotic drops in the ear are usually sufficient to treat otitis externa, and an affected child should stay out of the water for about a week. Otitis externa is not contagious. Measures to prevent swimmer’s ear (otitis externa) include drying out the outside of the ears immediately after swimming (with the corner of a towel) and encouraging the child to shake his head to remove excess water; using earplugs or a bathing cap; and avoiding trauma to the delicate lining of the ear canal by avoiding the use of cotton swabs, bobby pins or fingers in the ears.